That’s it! She’s done! Madonna has finally finished TOEFL! I have so much to say about our experience together! What a journey it was! 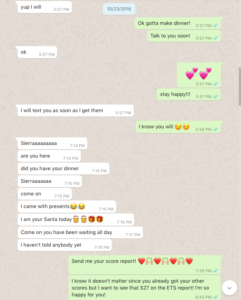 I want to take the time to write it clearly and make sure I include as many details as possible so that I can help more students like her in the future so today I’m just going to share what she wrote to me the day she found out her scores. It was a very emotional day for both of us! 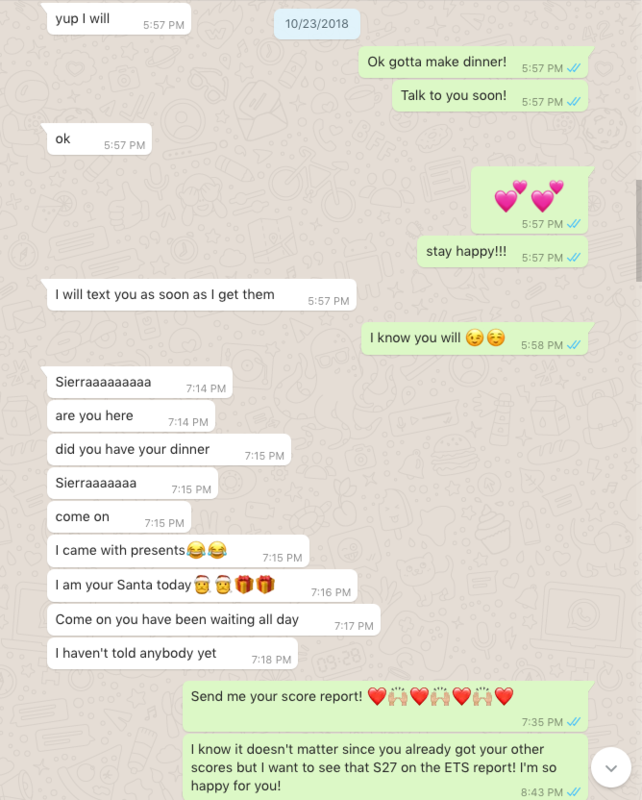 Below you can see our chats back and forth and of course, I called her on the phone and we both jumped up and down screaming and crying with joy for a while. Achieving a 26 on the Speaking section of the TOEFL iBT requires targeted pronunciation practice from an exam preparation professional. If you want a 26 your teacher should have experience with the exam as well as with accent concepts such as: pronunciation, intonation, rhythm and linking sounds. One of the sounds that I work on the most with my students is the /TH/. It’s a tricky one and if you don’t say correctly it can really affect your speech because it is such a common sound! Just in that sentence alone, there are 11 /TH/ sounds! And in this one, half the words have a /TH/ sound in it! This week’s TOEFL Tip is about “Skill Building”. I work with a lot of students who need high scores on the Speaking and Writing sections of the TOEFL iBT. The first question I ask them is what are your Reading and Listening scores? Forget about your target scores for this exam. If you want to speak fluently, if you want to write well you need to have strong reading and listening skills. Yes, you need to expand your vocabulary. Yes, you need to understand the basics of English grammar, but what many students don’t realize is that one of the best ways to do this is by reading English texts and listening to native English speakers every day. Careful! Just reading ANY text won’t help you on the TOEFL exam. Listening to the news or watching American sitcoms is not a good place to improve your vocabulary or speaking skills when you are preparing for an exam that tests your knowledge of campus situations and academic topics. 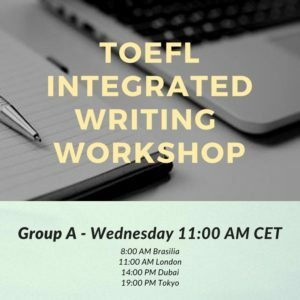 If you want to make the most of your time, dive into TOEFL material! Use the Official Guide to the TOEFL iBT. Read TOEFL reading passages slowly to understand, don’t race against the clock to try to answer the questions. If you read a passage once and you don’t understand the majority of the text, go back and read it again! 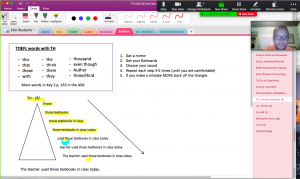 Learn how to analyze the texts paying attention to grammar, vocabulary and organization. when you listen to a campus conversation or lecture, don’t listen to find the answers, listen to understand! Listen to how the person is speaking! Use transcripts to improve your listening skills. Once you have built these skills you will see a difference on the exam. Don’t stop building these skills because you have achieved your required score… keep going! Raising your Reading and Listening scores to 26+ will make the Speaking and Writing sections so much easier for you! If you need help, get in touch! I am trained TOEFL iBT Exam Preparation Specialist. I am a native English speaker with over 13 years experience teaching students from all over the world. I have helped many students reach their target scores of S26 and W24. 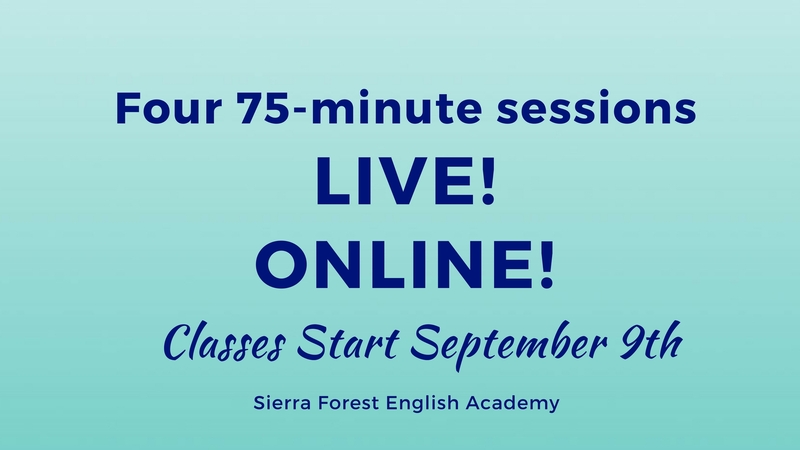 You can find me on Facebook at “Sierra Forest English Academy” or use the contact form below! Don't miss out on news about my group classes and workshops! Are you ready to improve your English today? 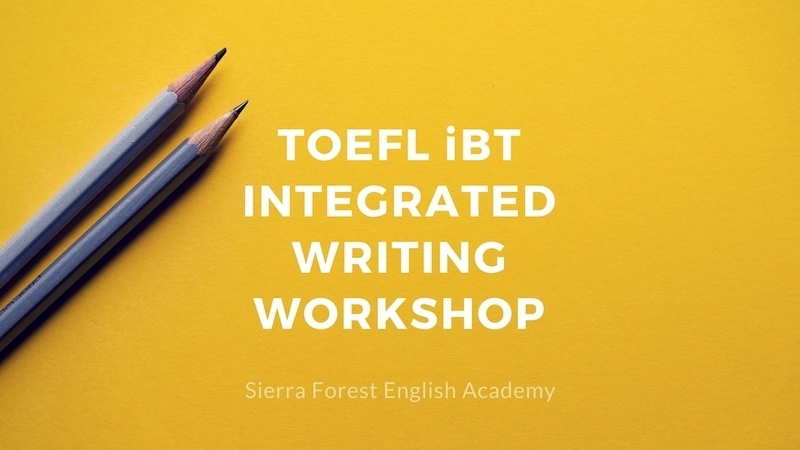 Say goodbye to difficult exams like the TOEFL iBT. Learn what has been holding you back from a high score. Improve your pronunciation and communicate better with your colleagues, supervisors, classmates and friends. Sign up for my mailing list to be the first to know about group classes, online courses and workshops. Congratulations on taking the first steps towards improving your English! Please check your email to confirm your subscription. See you soon! Anastasia, a teacher from Russia, got a 30 on the Speaking section of the TOEFL iBT! Yes, a 30 in Speaking! Amazing!!! Ana and I worked together on and off for about 7 months during 2017. I want to take a moment to point out that for some students, taking classes “on and off” is actually the key to their success. It is very common for serious students to contact me and purchase a package of private lessons, study intensively and then take a break. You can read more about studying “on and off” here. We all have busy lives. 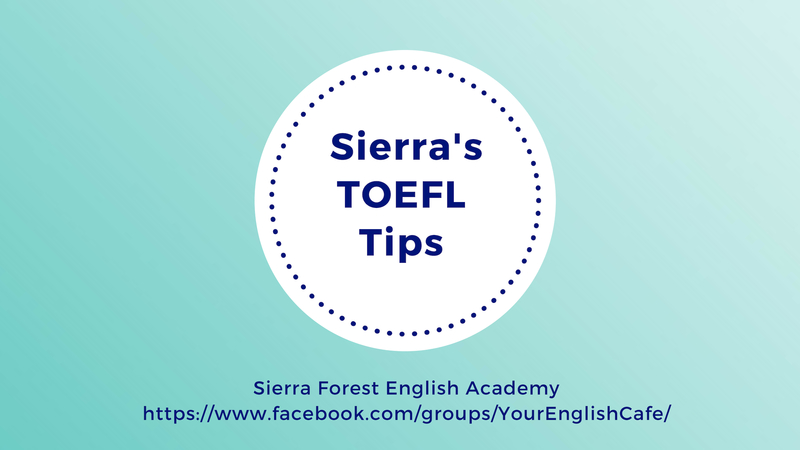 Some of us are working parents, some of us are studying and working at the same time and it’s not always possible to set aside the time and dedication required to prepare for the TOEFL exam. The information, strategies and feedback I give to my students is extensive and detailed. Sometimes students just need to take some time to review everything they’ve just learned. These students always come back to me. We stay in touch. They trust me. I guide them while they are taking these breaks and I am there for them, supporting them whenever they need me. This is why it is so important to communicate what’s going on in your life with the person that is guiding you through this exam. It’s important to stop and reassess your situation every once and a while. If you do decide that you need to take a break, it’s ok! Sometimes letting the soil settle in the stream is exactly what you need to keep you moving forward. I will be here to support you through that time and I will be here when you’re ready to come back online and study with me. “My name is Ana. 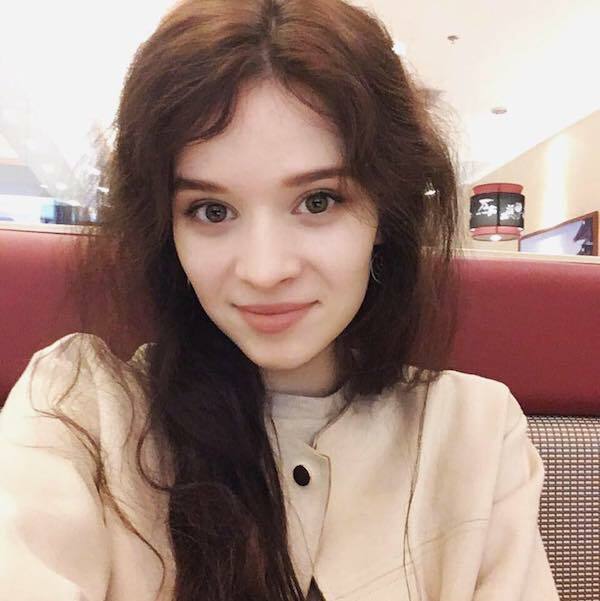 I’m from Russia, but at present I live and work in China as an English teacher. When people hear that I’m an English teacher they expect that TOEFL must be a piece of cake for me…However, I’d like to mention that although I’m a teacher and I speak English every day, my students level is very elementary, so I can only use simple English to talk to them. So TOEFL was a difficult task for me like for most of students. Plus there were two big BUT setting me apart from the desire score. Before sharing my experience with Sierra, I’d like to add that I took TOEFL once. In 2014 when I studied in Japan I decided to test my English skills by taking TOEFL. And it was a big mistake for me. It was my second year in Japan and frankly speaking there was very little English left in my head. Back then I had no idea what is the test structure, types of questions and even the time given for tasks. So I went to the exam without any understanding of what I have to do. The test was stressful and I left the auditory with a terrible headache. When I got my score R20, L21, S20, W15 I wasn’t just disappointed, I was destroyed. My confidence in English had disappeared. I even gave up writing my thesis in English and wrote in Japanese instead. It took me a couple years to recover and try to take the test one more time, but this time I decided to find a teacher. The first big “but” was my time, or it’s better to say the lack of it. My working schedule looks crazy, since I have three jobs. At the time when I was supposed to prepare for TOEFL I even didn’t have any days off. So I really want to thank Sierra for being patient and having classes with me at loud places with a very poor Internet connection during my lunch brakes. I believe that there is nothing like “I don’t have time”, it’s all about your priorities and the right time management. And Sierra was the one who was keeping me on a working mode, motivating and reminding me what are my priorities. She helped me organize my time better, so I had gaps in between to study. She shared very useful apps and studying technics that helped me study more productive in shorter time. And that was exactly what I needed! However, the biggest BUT for me was the fact that I’m a terrible procrastinator. And if you’re used to postpone every task till the last moment you know that it’s almost impossible to start doing something until “the deadline panic monster” will come. Thanks God I have found this “deadline monster” (P.S. sorry Sierra for calling you so ^^’). She was the one who was texting me one hour after the class and saying “- Ana, one hour has gone, where are your speaking recordings with transcripts?!?! – Ana, I haven’t got your essays yet, your deadline is coming! !” And I’m sure I would never get my score without this supervision. We all have our weaknesses and I was lucky to find a teacher who can understand exactly my needs and find a suitable way for me to study. So when the exam day had come I can’t say I wasn’t as nerves as I felt the second time taking TOEFL. Sierra was with me on my test day making sure I got to the place on time, supporting and encouraging me. I remember I left the room with this feeling of satisfaction and confidence. Right after the test I texted Sierra that I’m going to get a good score. I just felt it, because I was ready, after a good preparation it didn’t seem to me difficult, I didn’t feel exhausted after the test. I was very exited. And this is how students have to go to exams. Take the test when you are ready for it. Have you read Mary and Ana’s success stories? After reading them, you might notice that I mention that they studied with me, “on and off”. What does this mean exactly? Well it means that they got in touch with me, started private lessons, and then something happened. For one reason or another, they took a break. During this break they stayed in touch with me and when they were ready, or when I decided they were ready, we started classes again. For some students, taking classes “on and off” is the key to their success. It is very common for serious students to contact me and purchase a package of private lessons, study intensively and then take a break. For some students this break may last a week or two while their children are on vacation or they have family visiting, for others it may be a longer, guided break where they do self-study or attend to other professional or academic projects in their life. We all have busy lives. 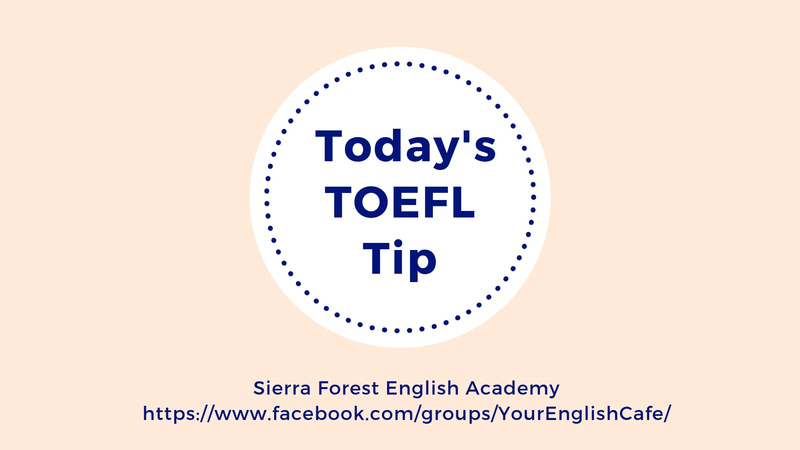 Some of us are working parents, some of us are studying and working at the same time and it’s not always possible to set aside the time and dedication required to prepare for the TOEFL exam. Many of us live far from our families and homes. We need to connect, we need to visit with family and friends and invite them to our new home in our new country. Preparing for TOEFL is part of life, but while we are preparing, life goes on! The information, strategies and feedback I give to my students is extensive and detailed. Sometimes students just need to take some time to review everything they’ve just learned. Classes with me are intense! There have also been cases where I asked students to take a break. I told them they needed to rest, or focus on an aspect of the exam that I was confident they could do on their own. This is why it is so important to communicate what’s going on in your life with the person that is guiding you through this exam. It’s important to stop and reassess your situation every once and a while. If you do decide that you need to take a break, your teacher should support you! Sometimes letting the soil settle in the stream is exactly what you need to keep you moving forward. If you need a break I will be here to support you through that time and I will be here when you’re ready to come back online and study with me. Thanks for reading and good luck with your exam! You know what I love about teaching online? Don't miss out on news about my videos and workshops! Are you ready to improve your English today? Teaching online has allowed people around the world to open their homes to me. 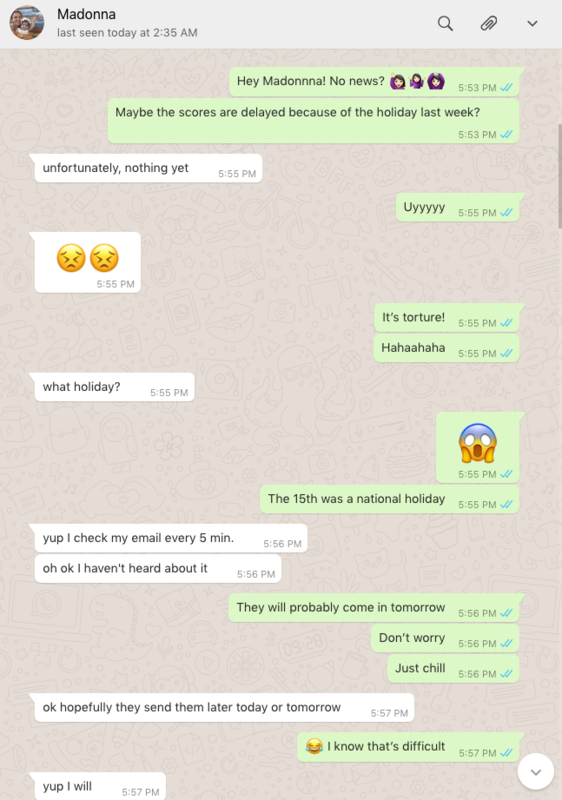 Every day I get to connect with people from different countries and cultures. They share their hopes and dreams and trust me with their future. What a privilege! As you can imagine, I take this very seriously. 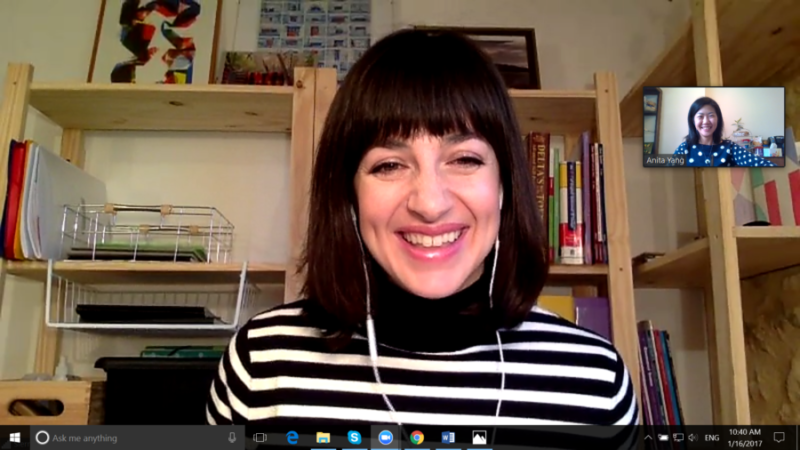 Last fall when I gave my Writing Workshop I had students from California, Chicago, China, Turkey and the Philippines all sign-on together as I hosted our lessons live from France! Most of you know that I’m an American from New York with over 16 years experience as a teacher. I started teaching in the New York City public school system, then I moved to Spain and became a professional ESL teacher. I taught in China for 3 years and now I’m in France teaching English and preparing students for the TOEFL iBT online from my tiny office in the countryside. Isn’t technology amazing? Even during my first year as a teacher in New York City I realized that this new profession meant I suddenly became a mentor, friend, mother, sister, confidant, support system, role-model and source of inspiration and positive energy. I give 110% to my students and they in turn give me their trust and allow me to guide them. I take this relationship very seriously. If it works and we both give an equal amount of energy then they are successful. My private lessons aren’t for everyone. I know that. My schedule is often very full and I have to limit my hours online so that I can spend time with my family and take care of myself. Setting limits is very important to me and I often have to teach my students how to set limits for themselves. I help them get organized, I guide them and organize their time so they know when to study different parts of the exam and how to stay on track. I remind them to ask for help and to spend time with their family, friends and themselves. This month I’m leading some group classes so that I can reach out and help more students with the Writing Section of the TOEFL iBT. These classes are designed to give you the tools you need to create a high scoring essay. It is not an easy fix that will teach you a secret trick to beating TOEFL. After I teach you the strategies you need to practice! Preparing for TOEFL takes time, effort and energy. I put these classes together to be able to reach more people at once. If this post speaks to you and you would like to join, just choose your day and click the link below. ➡️ Wednesday classes will be held at 11:00AM CET. ➡️ Saturday classes are for women only and will be held at 16:00PM CET. If you are a man and you are interested in a Saturday class please send me an email with your location and time preference so I can offer something for you in the spring. 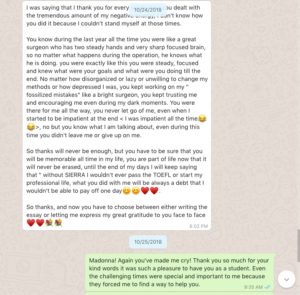 Thank you for taking the time to read this and I look forward to guiding you through your TOEFL journey! R29 L28 S26 W28! Esteban Says Adios to TOEFL iBT!!! I guess now it is my turn to tell my story. I am still very excited after receiving my results and I can’t believe that my life doesn’t have TOEFL anymore. First, let me tell you about me. My name is Esteban Yong Rodríguez. I am a pharmacist from Costa Rica. Since very early in University I wanted to have an international experience working in another country and perhaps following a clinical residency. I always thought it is important to travel and to study to be able to be a better professional and to have a broader knowledge. After writing e-mails for a couple of years I got my opportunity to follow a shadowing program in a Hospital in the US. I loved it and I wanted to be part of that system. Despite several family and working issues in my home country, I took the pharmacy exam in November 2012 and I passed, I couldn’t believe it, I was so happy. After that, I had to return home to continue working and to study for the TOEFL exam. I was very confident because I felt my English was very good since I was an exchange student in Canada and US while I was in high school. I knew my limitations but I felt pretty sure of my skills. I studied for 2 months in Costa Rica taking some classes and I went to the US to take the Exam. I felt so insecure and nervous at that time. I knew I did awful and the results confirmed those feelings. I felt I needed more practice, so I took an internet class in one of those “popular sites”. I thought, this is perfect I only need to follow a formula and I’ll be ready to move on. Well…that didn’t work out. I felt very frustrated and I knew it was time to take bigger risks. I quit my job and I moved to US for some time to study. I took TOEFL classes in an English school for foreigners. After two months, I was a little disappointed because the classes weren’t effective. I took the exam and I failed again. So, I started going to public libraries finding new books to study TOEFL by myself. I was feeling desperate because my savings were running out, I took TOEFL three times in a row and I kept failing and my baby was going to be born soon in CR. I knew no matter what I needed to return before she was born. I felt I was getting closer to reaching my target score of S26 but I was always failing at something. I found out about Jamie and English Success Academy just days before my last exam. In a desperate attempt I contacted her but I only had one class with her before the exam. My time and money ran out and I had to come back. 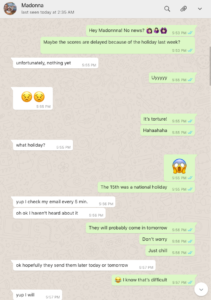 I contacted Jaime again in January 2017, I felt this was my year and my last chance before my exam expired. Now I had new goals, to show my daughter that you need to be persistent in life and if I finished this process, I could offer her more options for her future. I was glad Jamie remembered me and she soon connected me with Sierra, one of the teachers who trained with her. I knew this time I needed to do things different and follow the advice of a professional. Before meeting Sierra, my plan was to quit my job again and go back the U.S. to study harder. I was convinced I needed to live in an English speaking country in order to get my scores. However, I was very surprised when Sierra said that I should stay in Costa Rica. I hesitated and told her twice I was willing to take that risk, but she said that at this time, she didn’t believe it was necessary and actually it might just create more stress. So, I trusted her even though I had my doubts. I had to arrange my life to be able to study, work (48 hours a week) and take care of my family, my dogs and exercise. I had to learn to get up at 3:30 or 4:00am to study. I studied almost every single morning, sometimes 30 minutes or sometimes 2 hours. I started going by bike to work 2 or 3 times a week to exercise during that time and to release stress. I stopped some of my family activities during the weekends. Sierra was always very well organized, way more than me. I had to follow all her instructions and she helped me to arrange my schedule. We had to work on tiny but difficult details, like individual sounds, rhythm and intonation. I felt like a baby learning to talk again. I used to work and do all this funny sounds. I felt like I was the character Rocky Balboa sometimes, but instead of exercising my whole body, I was working out my mouth. I took the first practice exam like 3 months after we started working, in May. The results weren’t great but I knew I still needed to improve some details like to learn how to manage my anxiety during test conditions and work on time management. So I kept working hard. When August was approaching Sierra told me it was almost time to take another practice exam. I felt I wasn’t completely ready and I wasn’t aware of my progress but Sierra was and she knew it was the right time for another practice exam. Reminding myself that it was just practice, I took the exam and even though I felt I didn’t do so well, I felt relaxed and confident at the same time. For the first time I got a 26 on speaking. Even though it was just a practice exam I was extremely happy with those results; I felt I was finally getting very close to my goal and Sierra assured me that I was ready. “You are ready, you have been ready for weeks, your practice exam was not a matter of luck, there is no such thing as luck in TOEFL” Now I realized training for a TOEFL exam is like running a marathon, once you are able to run 42k, you can do it again, again and again as long as you keep training and stay positive. R29, L28, S26, W28 Total: 111! Wow!!! 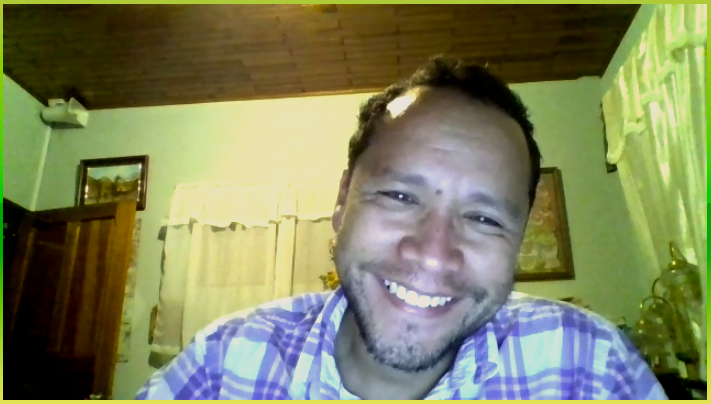 TOEFL has been a journey, when I got my results I was at work in Costa Rica. I was so happy, but no one could really understand me, I had to call my family and I wrote to Sierra. I have never studied so hard for one exam, I never felt so disappointed in myself and so proud later. I definitely have a story to tell to my daughter one day. I used to wish that I had passed TOEFL at the very beginning, but now I realized I learned so much on this journey. I learned how to be persistent, how to wake up very early and I proved to my family that I can reach my goals. Also, I found new friends, among which, there is Sierra, who is like the Yoda of TOEFL and now I am her Obi-Wan Kenobi. Now, I wish you the best. Congratulations Esteban! 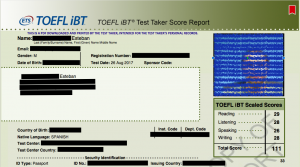 111 on his TOEFL iBT and a Speaking 26! One of my hard working pharmacists just got his results back from the TOEFL IBT exam he took this month. His total score is 111! Most importantly, he reached his goal of Speaking 26 and now he can work as a pharmacist in the United States! Esteban came to me with very high reading and listening skills. We worked together on his topic development, grammar, and time management skills before moving on to Delivery. 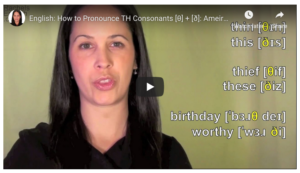 During the accent reduction part of our classes we worked on the pronunciation of individual phonemes (sounds), rhythm, intonation and pacing. What a journey this has been! We started in February and have been working together online twice a week for close to 7 months. A special thanks to Jaime Miller from English Success Academy for connecting us! Felicidades Esteban! Lo lograste! I’m so proud of you! 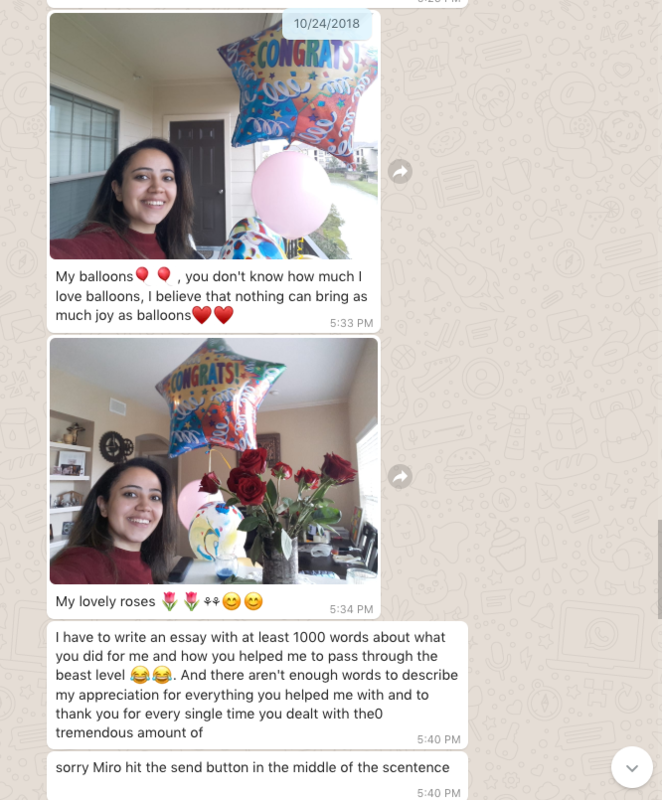 Apart from the test-taking strategies and accent reduction work we did, prepping for the TOEFL exam involves a lot of motivation, coaching and support. He’ll be telling you all about his experience very soon! Just look at these scores! Reading 29, Listening 28, Speaking 26 and Writing 28! Congratulations Esteban! All your hard work paid off! Vamos! Ahora hay que celebrar! Is your writing score on the TOEFL exam holding you back professionally? Imagine feeling completely prepared and confident the day of the exam! 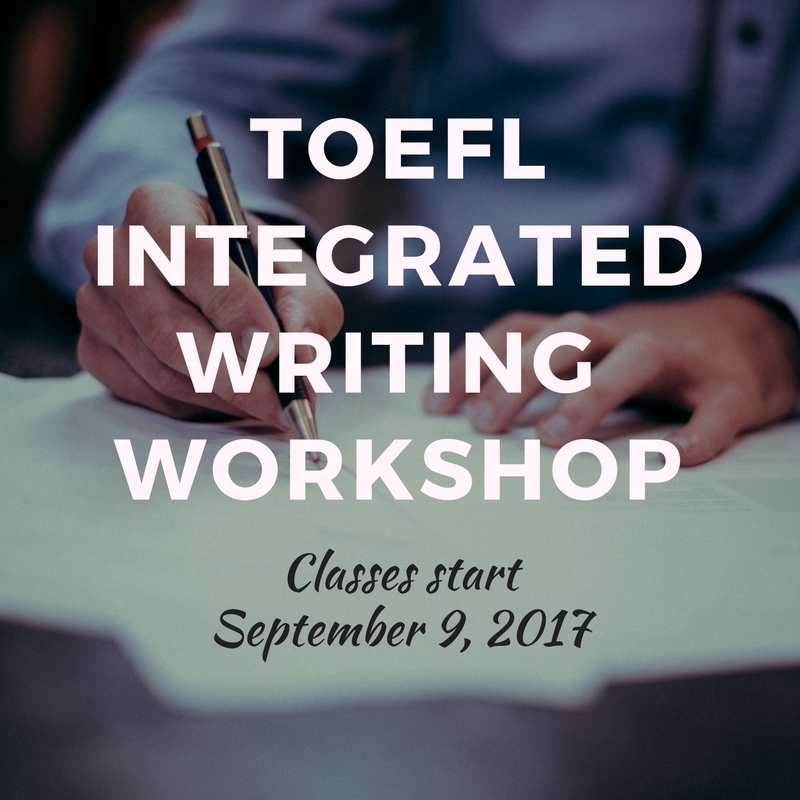 Sign up HERE for the TOEFL Integrated Writing Workshop! Willingness to share your essay with other students. During this workshop we will critique and correct your essay live in class! At the end of the workshop you will take home 4-6 high scoring Integrated essays from your peers. You are encouraged to share your final draft with the group as well! A positive attitude and a smile! Homework: All homework assignments are due on the Wednesday before class. If you don’t turn in your writing you can still attend, but we won’t be able to critique or correct it. Confidentiality: Please do not share the material received during the workshop with students who have not paid to attend. 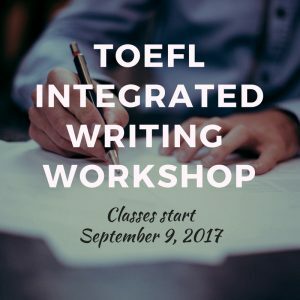 Sign up today to join a group of motivated learners like yourself who are ready to finish TOEFL and move on with their life. Congratulations Marwa on your S28 on the TOEFL iBT! I met Marwa in February of 2017 when she was fumbling around in the dark, trying to tackle TOEFL all by herself. She knew she needed help but she felt overwhelmed by all the options available and didn’t want to waste her time. 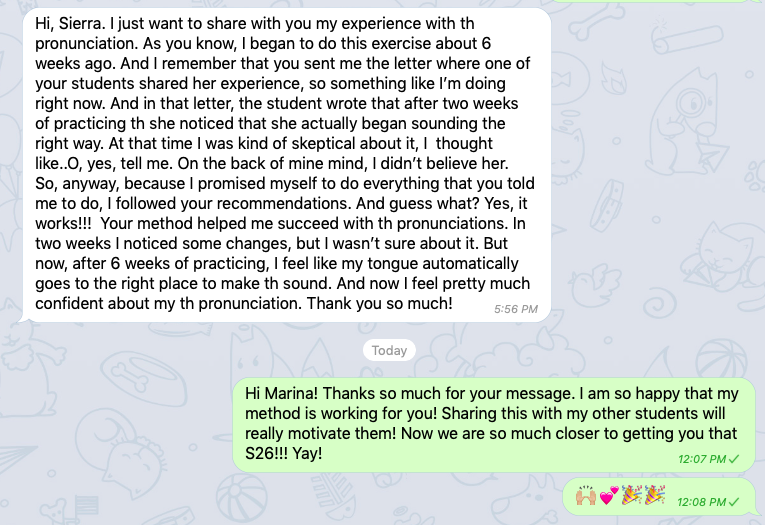 She booked her first lesson with me and I helped demystify the Independent Speaking section of the TOEFL iBT. She sent me two speaking files – one for Task 1 and one for Task 2. She also sent me her notes and the transcripts of these speaking files. I gave her a detailed Score Analysis of these two responses and gave her feedback on her strengths and weaknesses. We focused on Topic Development, Language Use and Delivery – the 3 categories that she was going to be graded on in the Speaking section of the TOEFL iBT exam. I gave her specific suggestions on how to improve each one of those elements so she could raise her score from a S24 to a S26. 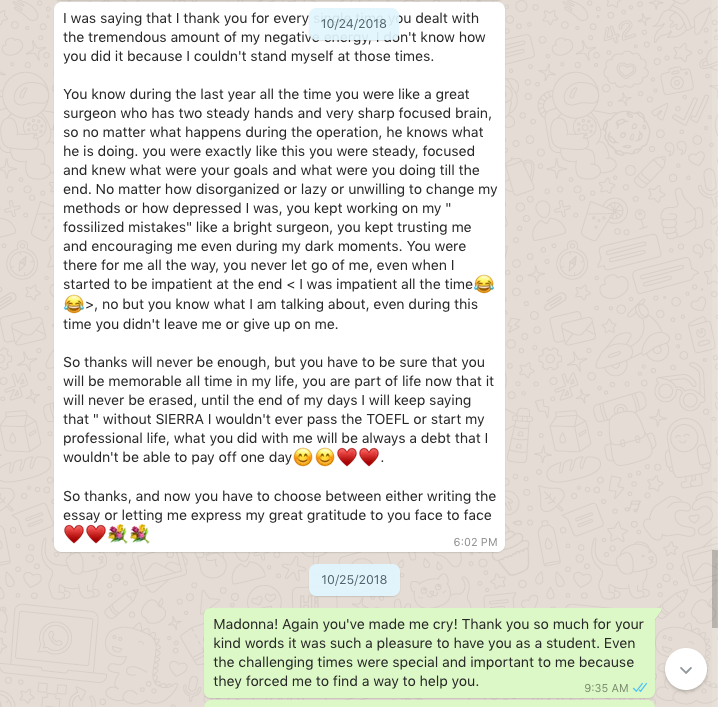 She told me she was impressed with my organization and knowledge of the exam and that she wanted to book another class so we could discuss the Integrated speaking section. I told her she had to choose either Tasks 3&5 or Tasks 4&6 because it was too much to cover in just one 60-minute class. 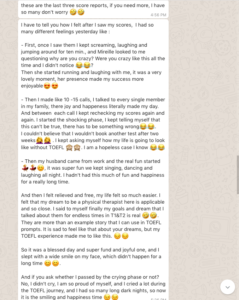 She then realized on her own that if she really wanted to make progress and reach her goals, she should purchase a package of lessons. We worked together for about 4 months and on June 24th she took her exam. She got Reading 26, Listening 27, Writing 25 and Speaking 28! 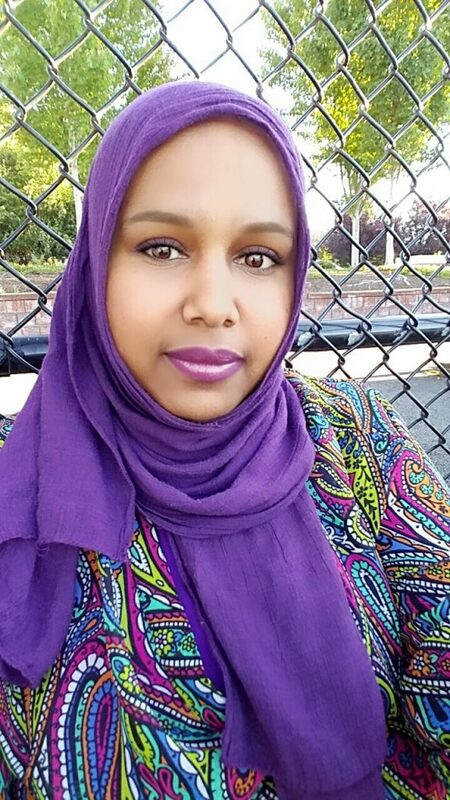 My name is Marwa, I’m from Sudan and I have been living in the U.S. for almost 12 years now. I’m a mom of 4 kids, 2 soccer loving boys and twin daughters who are almost three years old. 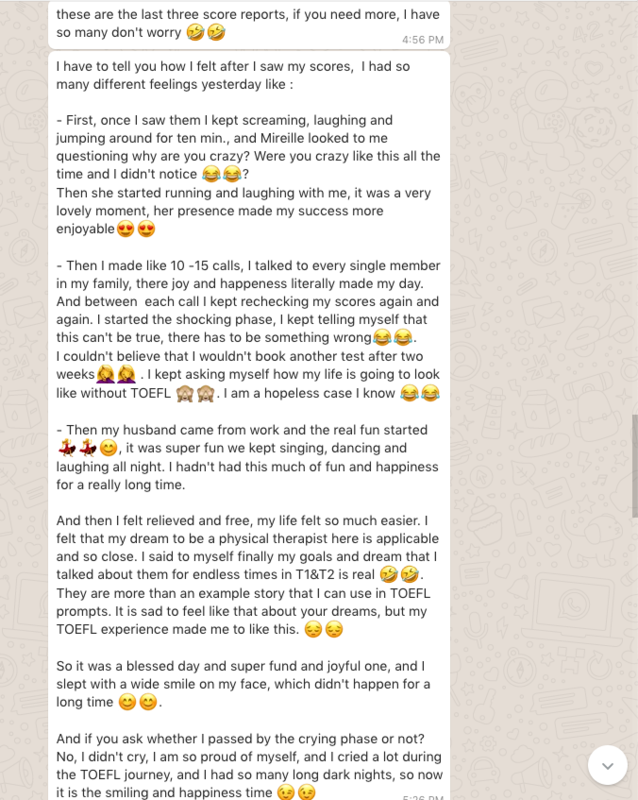 I talked about my kids because I want you to imagine how busy my life is, and If you think you’re busy and you can’t do it, just remember me a mom with 4 kids, who runs around all day long to and from soccer practices, playgroups and physical therapy for her daughters, got more than 26 speaking after a long struggle with TOEFL. My first time taking TOEFL was way back in 2008, it was good but I didn’t get the required score. So I decided to move on to the FPGEE and since my scores weren’t that bad, I kept telling myself I will get the score if I took it one more time and I’ll be lucky. I took FPGEE in 2012 and was a piece of cake for me and I went back to TOEFL and took it for the second time, but the surprise that my scores wasn’t good enough. I was so disappointed on myself and I decided to go for a pharmacy tech certificate and my goal was to add a writing class and a keyboarding class in addition to the phramcy tech classes. I tried taking TOEFL for the third time, and luck wasn’t on my side this time either, my scores were 24 and 22 on Speaking and Writing respectively. After getting my results, I was so devastated and I lost hope in fullfilling my dream of being a pharmacist. I had a new plan this time which is forgetting about being a pharmacist and finding something else, so I went back to college and I earned a certificate in Basic office skills. All the jobs that I applied for needs 4+ years of experience and my twin daughters were so young at that time, so I thought may be I need to rethink my plan and try to make my dream come true this time. In addition, my FPGEE is going to be expired soon and of course, it is imposible to study again and retake FPGEE. I took it again for the fourth time and my scores were the same as my last one, 24 on S and 22 on W. I knew at that time there was something wrong but I didn’t know what it was, as we all know the score reports are not helpful because they are so general. For all those previous tests I studied by myself because I didn’t think that I need a professional help and I thought that I don’t need to spend any money on preparing for TOEFL. After my fourth time, I knew that I needed to change how I study for TOEFL and try something new. I kept looking online for anything that can help, there were so many options, and to be honest I choose English Success Academy before reading any reviews. I wanted to try it first and see if I like their teaching style or not. I booked my lessons with Sierra, she is so kind, enthusiastic, passionate about teaching, and caring too. She made me feel very comfortable and gave me confident in myself from the first class and supported me emotionally the whole time. I took classes with Sierra over a period of three months and over this short period I felt that I improved a lot. Sierra’s method of teaching is so creative: creating more thoughtful flash cards which contain way more information other than words and meanings, tackeling each task separately and after perfecting it move th the next, bulletin board for all speaking tasks flash cards, helpfull videos on pronounciation, strategies and tips on writing which are totally different from all other sources and books that I saw in the past five years. 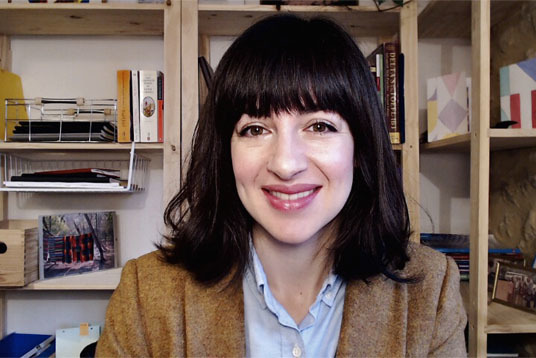 Jaime’s books, 24+ writing and The Advanced Speaking Guide, are two the best books because they’re concise and they cover everything you need to know to get the 24 and 26 on writing and speaking. Also, Sierra helped me alot by creating a shedule for what to do each day so I can spend time working on all tasks and to not foreget about Reading and listening. Sierra’s advice was to practice a lot and rest the last week before the test, and on the test day smile and be confident and believe in yourself. I did exactly as Sierra told me, I was smiling the whole time and I felt confident that I can get it this time. 10 days later, at 4:58 in the morning, I had my score report and it was amazing: R:26, L:27, the surprise S:28, and finally W:25. I can’t describe how I felt when I saw my results, I cried, I laughed, and I felt like I’m going to burst out of happiness, and the funniest thing is that I woke up my kids two minutes after seeing my results at 5 a.m. Thanks to Sierra and everyone on English Success Academy without their help, I would have never pass the TOEFL obstacle. Now, I can fulfill my dream and press the “go” botton on my life. 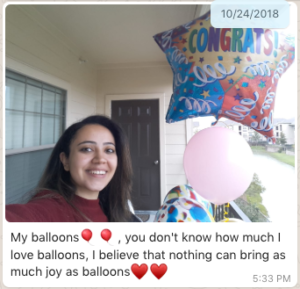 Congratulations Marwa! I’m so proud of you!